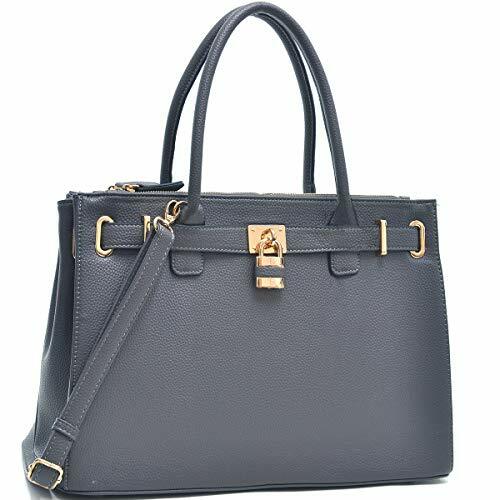 [CLASSY DESIGN]: The juxtaposition of the smooth vegan leather with classic color and light gold tone chain straps & polish padlock deco gives the bag more authentically retro look. 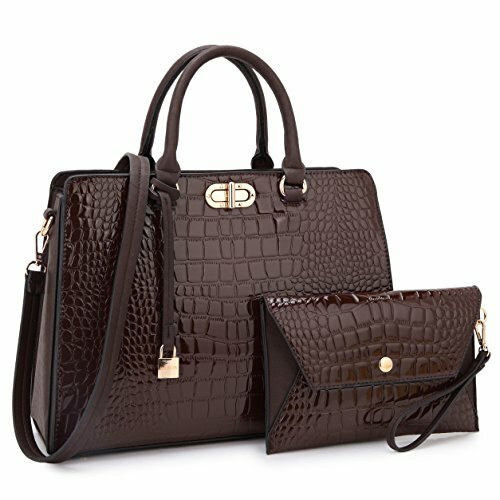 We find many color options: Black, dark gray, brown, red, dark green, tan. 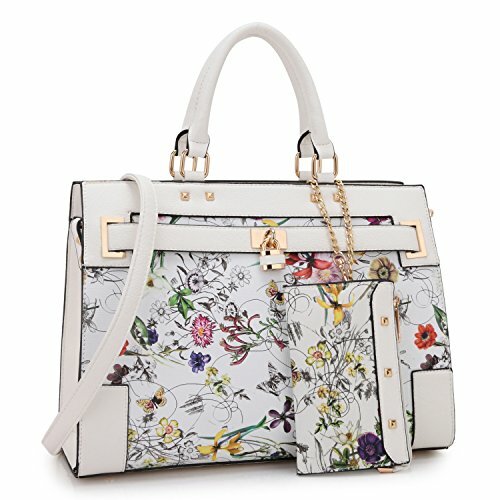 All of these are great choice for fall and winter, even suitable for each season. 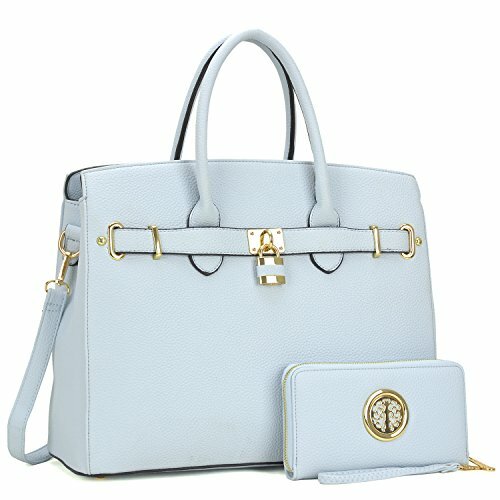 [BAG SIZE]: 13.75"W x 10"H x 6"D(inches). Weight: 2.6 lb. 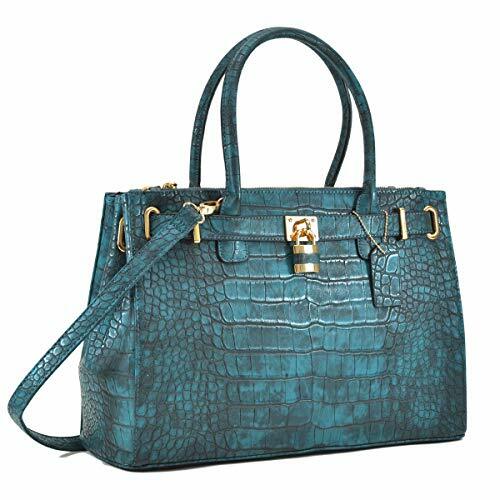 Chain and leather shoulder strap length (Detachable): 32" IN. 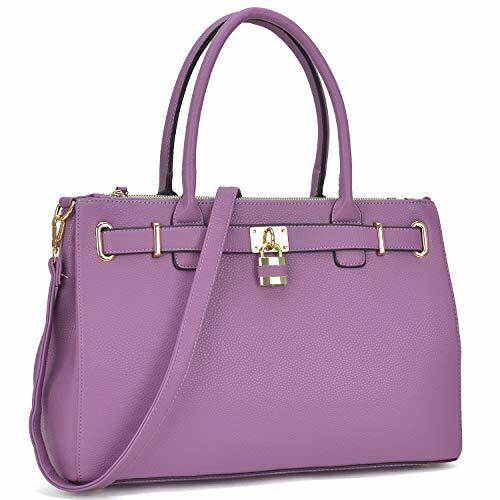 Top handle drop length: 5.5 IN. 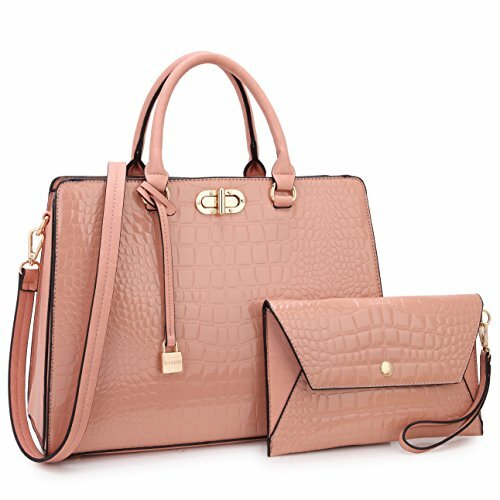 This designer handbag for women comes with a stylish matching wallet (7.5"W x 4"H x 1"D) which can fit iphone 7 plus and more. 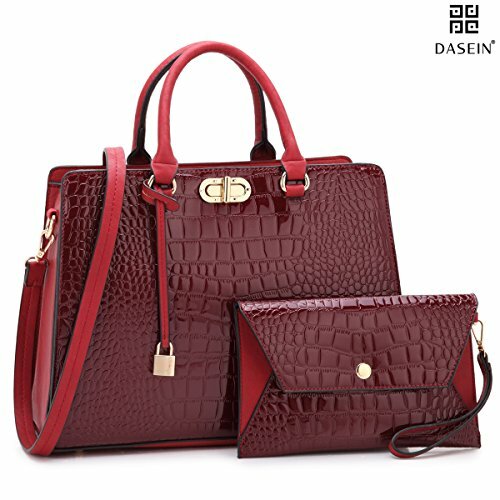 [VEGAN MATERIAL]: These dasein collection women's handbags are made from high quality smooth PU calf vegan leather. -- water-resistant, durable, 100% no chemical smells. 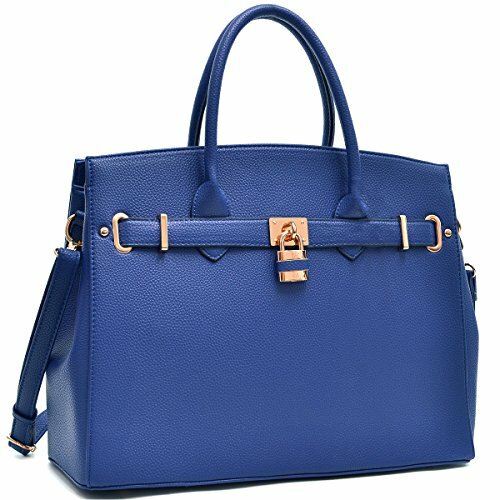 Exquisite stitching with two sturdy studs under handles to make sure that the handles are more durable than any other handbags without studs design. 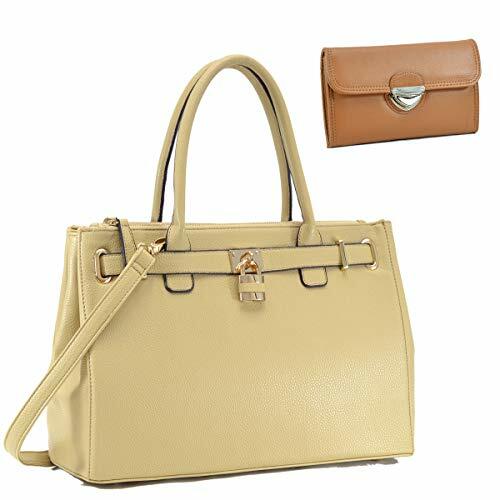 Polish high quality light gold hardware and hinges give this satchel an expensive looking and durable life. 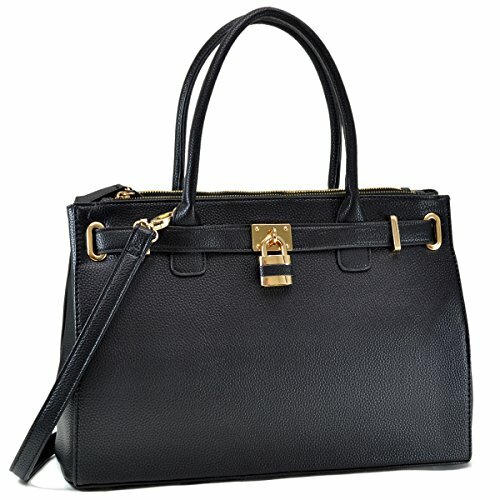 [POCKETS AND CLOSURE]: Top zipper closure (more secure). Four bottom studs (stand up easily and protect the bottom leather). ✔ Dual back magnetic snap to help expand top closure. Multi pockets to organize your daily stuffs. 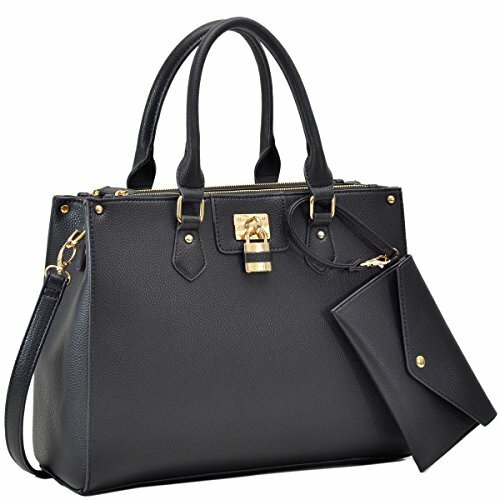 Spacious interior center pocket, two interior front wall open pockets, and a back wall zippered pocket. 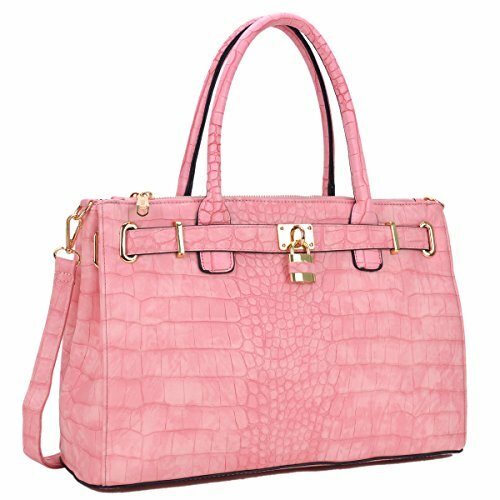 This designer handbag will fit all of your daily essentials, such as wallet, phone, ipad, books, tablet etc. 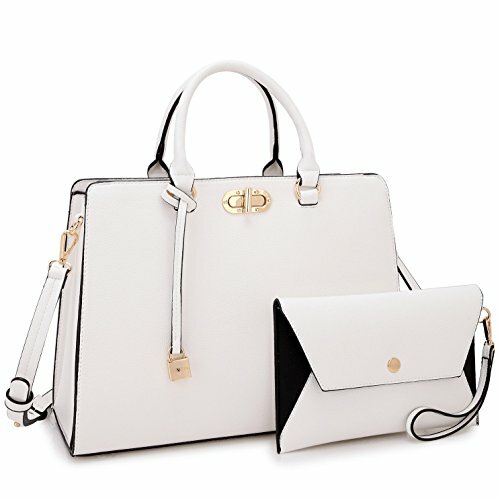 MATERIAL: 100% Eco friendly vegan leather (PU) with genuine leather textures. No animals are harmed. DIMENSION: 15"W x 12"H x 6"D. Handle Drop Length: 4". Shoulder Strap End to End Length: 48". 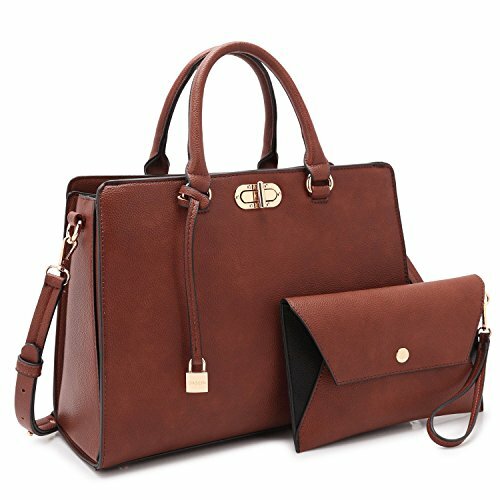 It can fit laptop up to 14". 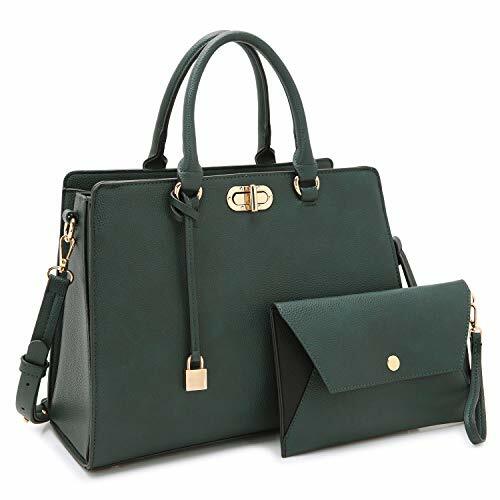 It is the perfect combination of tasteful elegance, fashion and a nicely utilitarian handbag. FEATURES: Structured design and can hold its shape, can stand up by itself on the table. 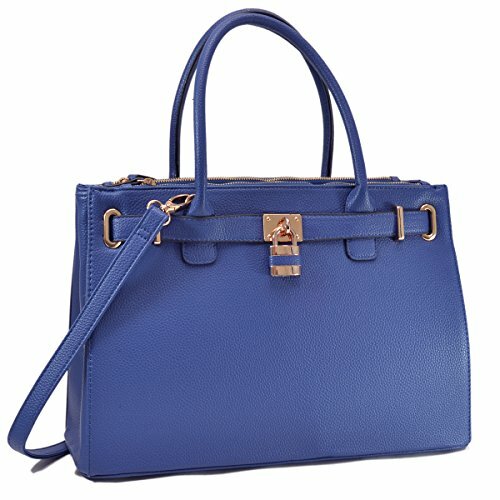 Belted with a detachable padlock (just for decoration, not functional) without key. Top zip closure. 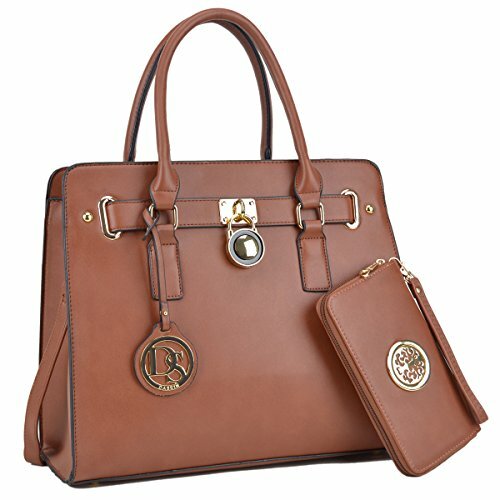 The metallic hardware (the lock, buckle hardware, and base studs) are plated with gold. 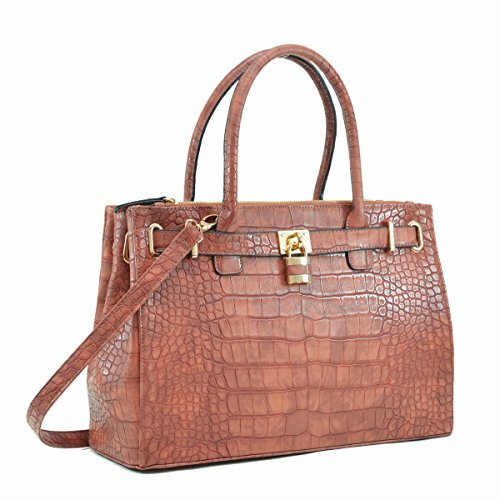 POCKETS: Multi pockets - 2 interior compartments with a center zipper divider / 1 interior zipper pocket / 2 top interior open pouches. Can make your stuff well organized. Exterior back panel zipper pocket for easy access.